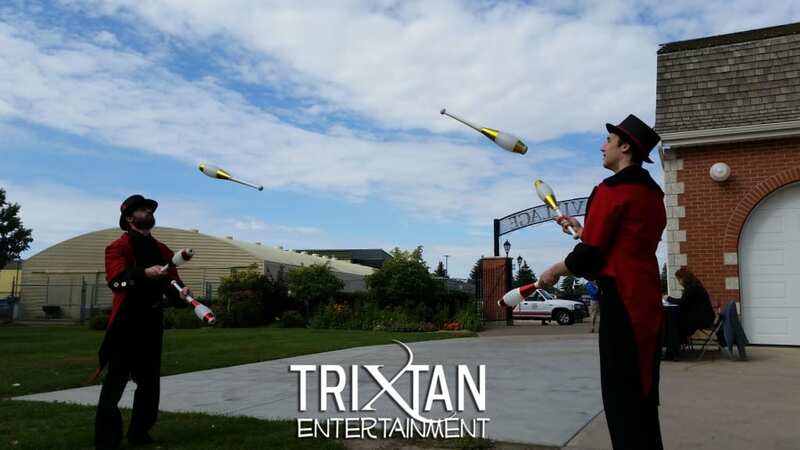 Jugglers - Roving Entertainment - TriXtan Entertainment Inc.
Technical, highly skilled and exciting! 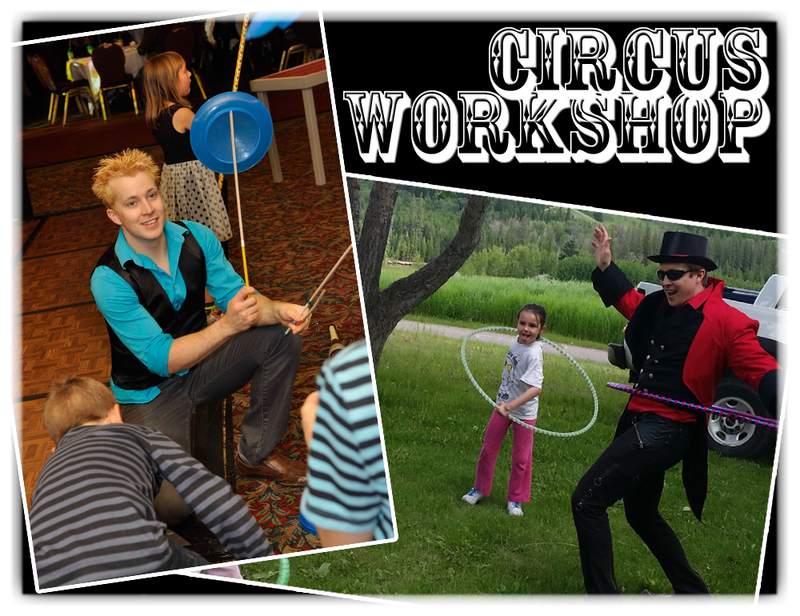 Add a touch of circus with Jugglers! 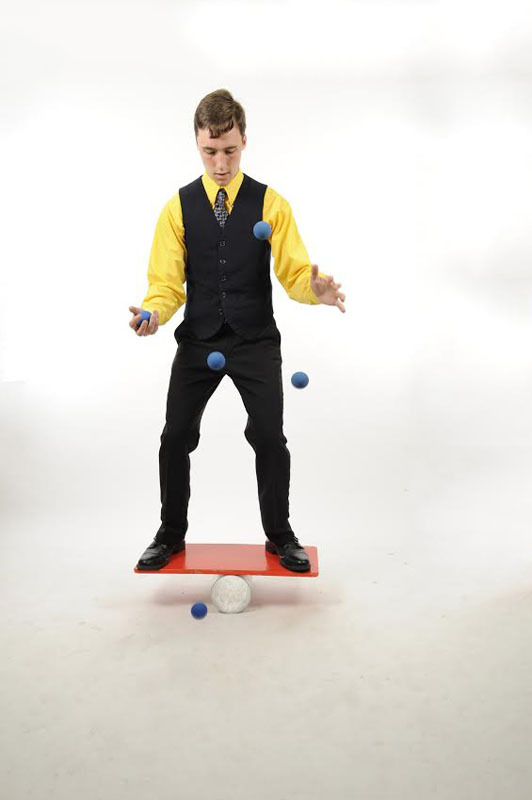 Jugglers can add that flourish to your event with their comedy acts and high skills while interacting with your guests. 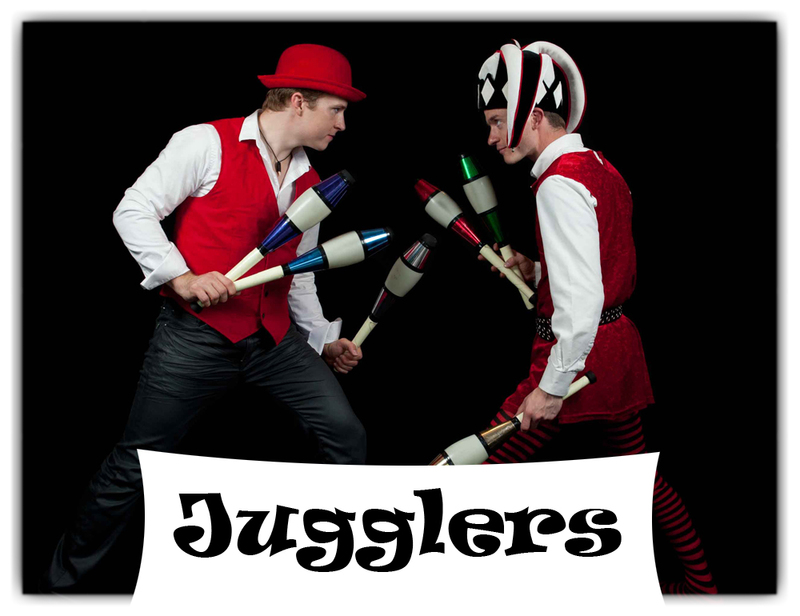 Dressed in a manner that matches the theme of your event, jugglers can walk around the venue interacting with your guests, maybe even teach them how to Juggle or perform under the spotlight on the big stage! 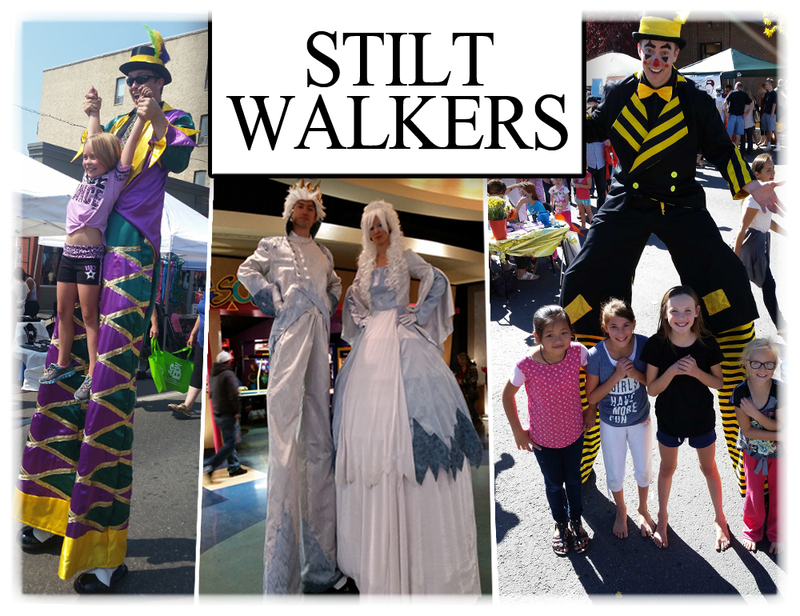 Be prepared for laughter and awe as they perform their amazing feats. 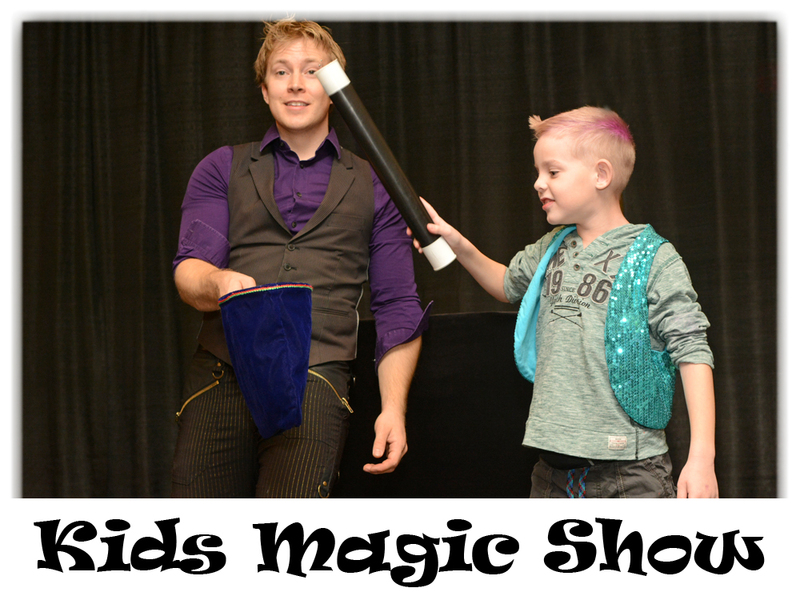 Solo and Duo Juggling Stage Shows available for Family and Children’s events, 30-45 minutes in length. 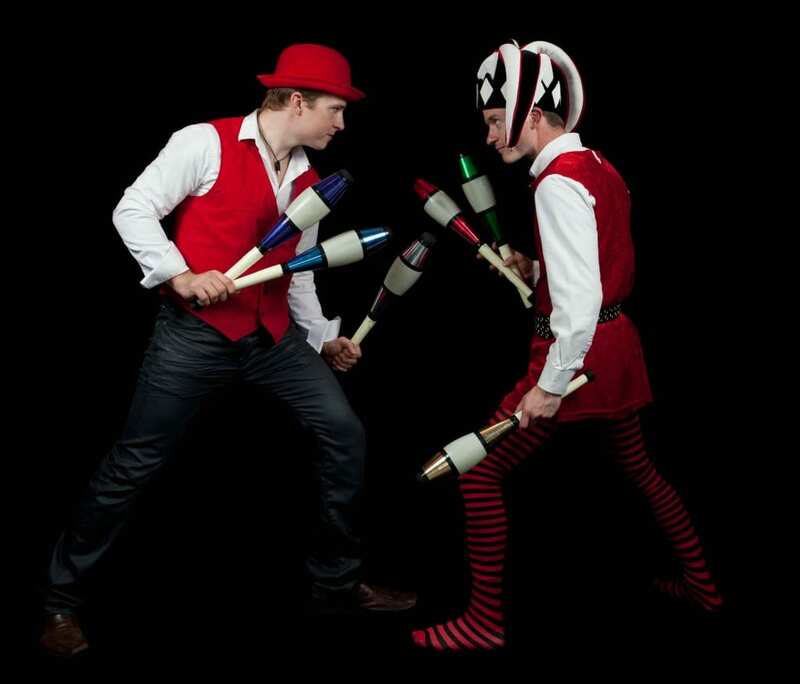 Loaded with laughs and high skilled Juggling performance! 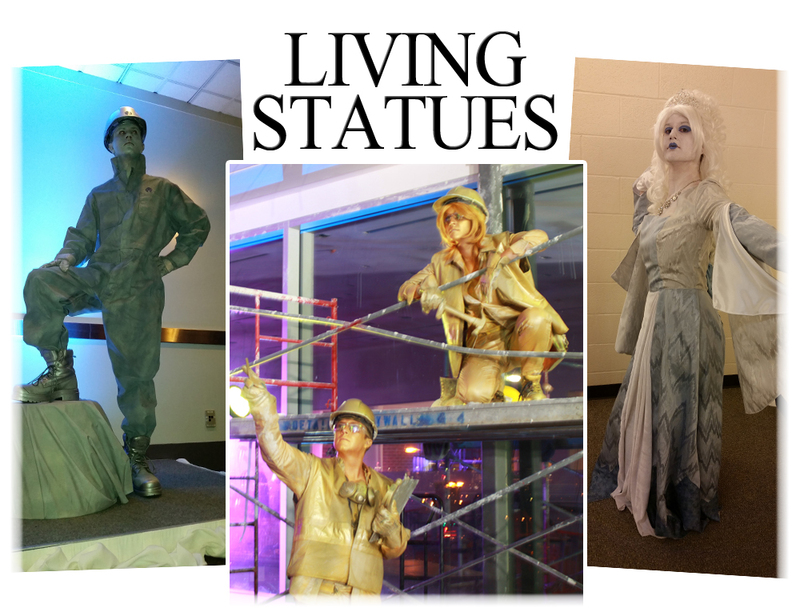 Any where your looking to add a big flourish to your event! 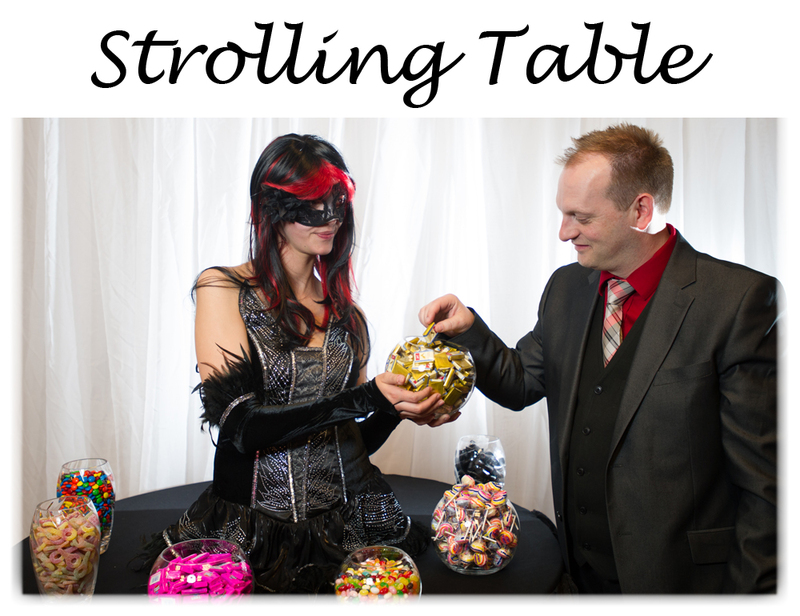 That was so cool seeing you guys juggle with each other over the entrance way to our event as guests walked in. 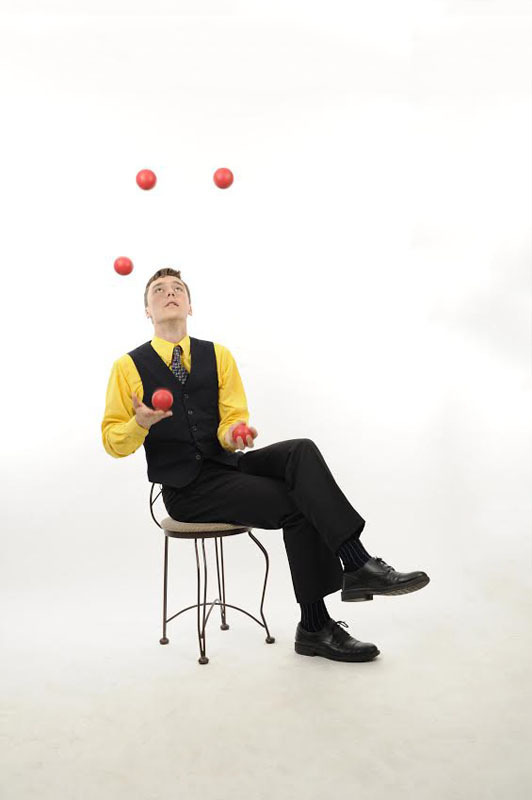 Jason makes 5 ball juggling look easy! 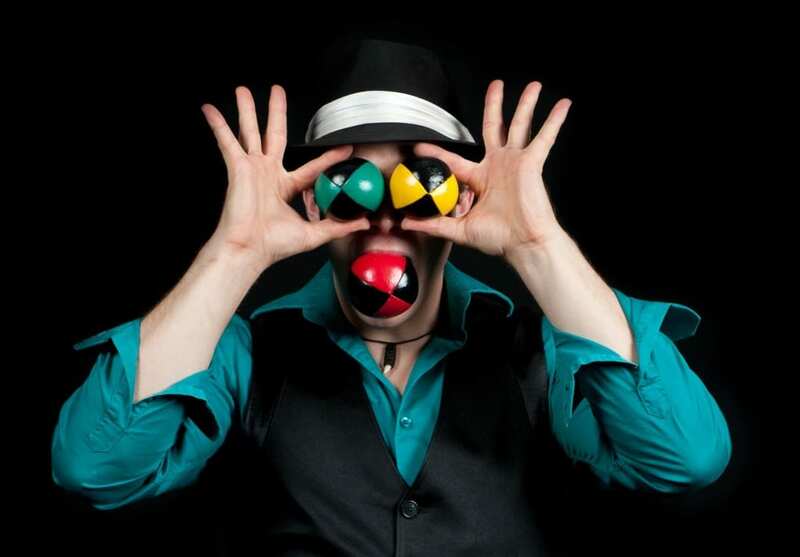 Bounce Juggling 5 balls while balancing on a tube! 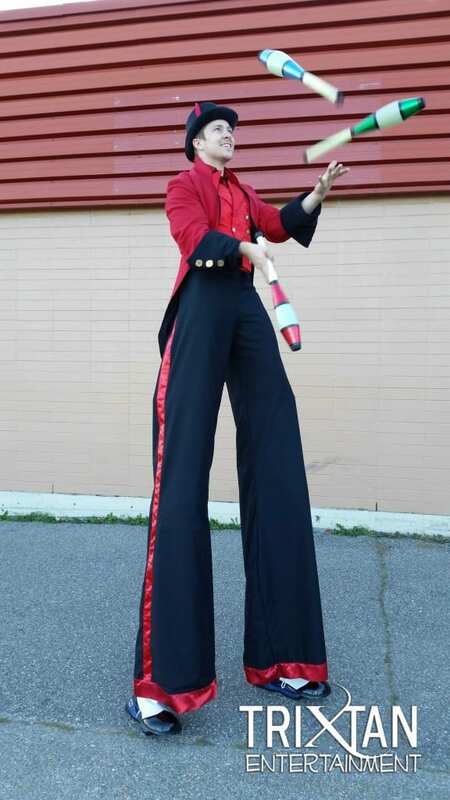 He brings his stage with him to perform for the circus! 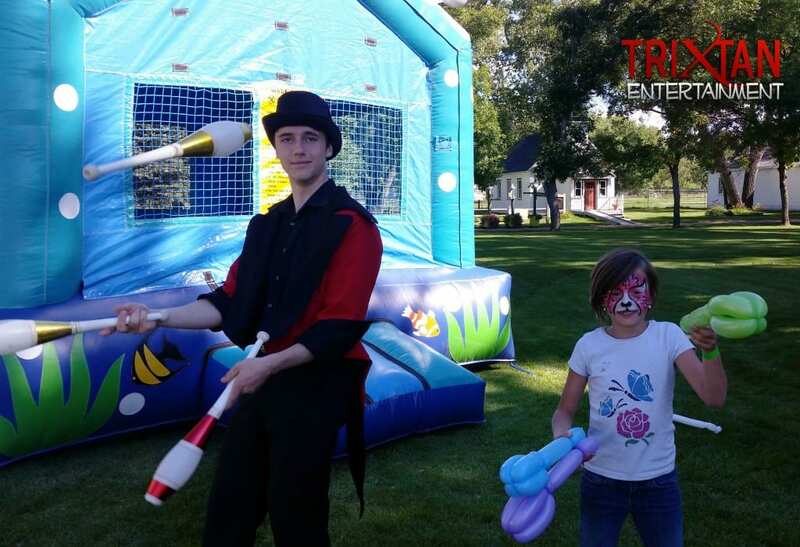 Jugglers are a load of goofy fun at events! 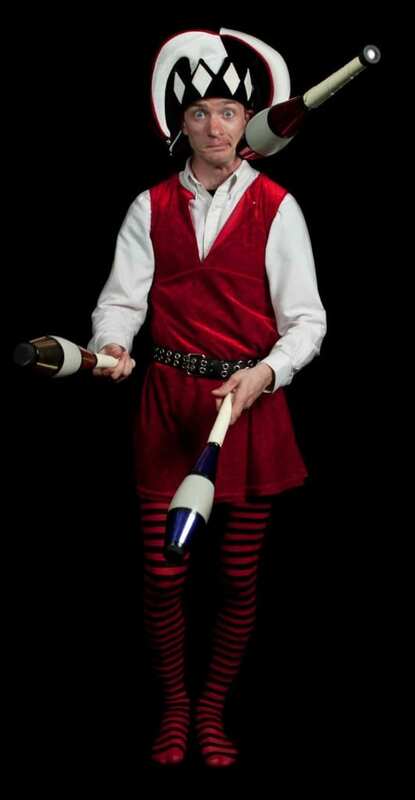 Never too young to learn to juggle!